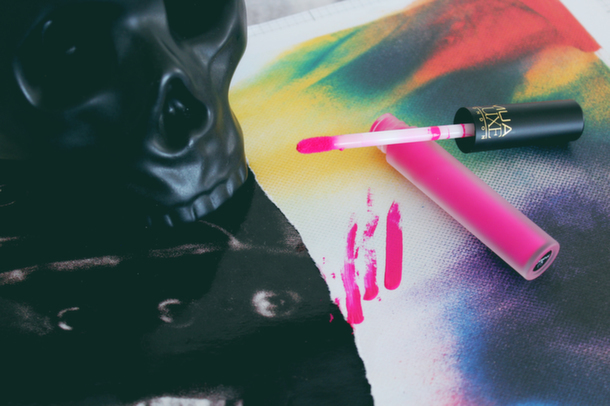 It’s beauty time here on She Hearts The High Street! You guys know I don’t talk about beauty too much on here, as it’s not necessarily my primary area of expertise, however, when I fall head over heels in love with a product, I just have to share- so here it goes! 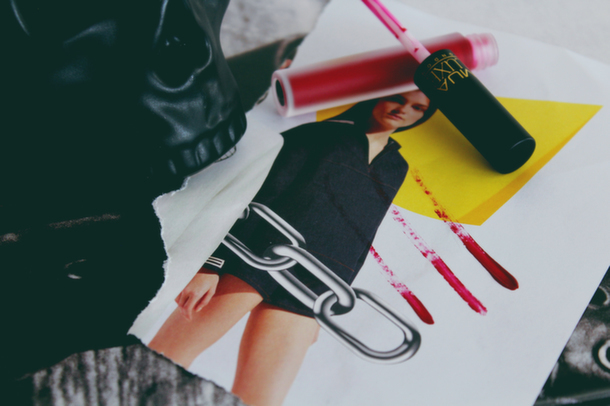 ‘Drugstore’ brand MUA have recently launched their Luxe London collection, and amongst the amazing, affordable beauty bits, are their Luxe London lipglosses- described as velvet lips. If I had to compare these to anything, I’d say they’re along the same lines as the YSL glossy stains. These are not budging once you’ve got them on, and fade really nicely to a light stain once the initial gloss has worn off. What’s more- they’re just £3 each! Me being me, I picked the three most ostentatious colours! 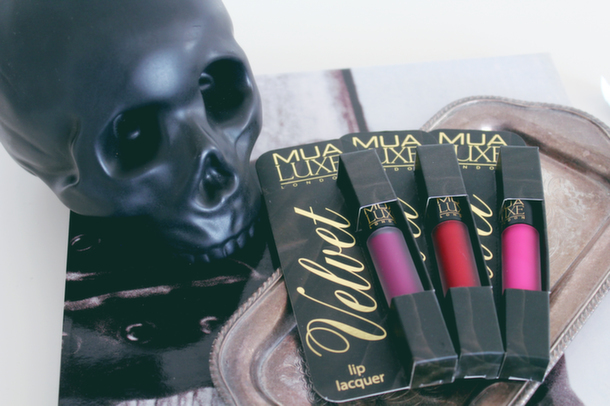 I absolutely adore a dark lip- yes, even in summer, so Kooky (the purple shade) and Reckless (the dark red) are gorgeous. Criminal (the bright pink) was a little out of my comfort zone but I wanted to give it a fair go. I think darker skin tones than mine would suit this colour better, as it does wash me out a little, so I wouldn’t say the pink was my favourite, but I can’t fault the formula on all three. I waited for Superdrug’s 3 for 2 to kick in so I could save myself £3 trying out the bright pink, and I’m so glad I did as I haven’t wasted the money now I’m not that keen. 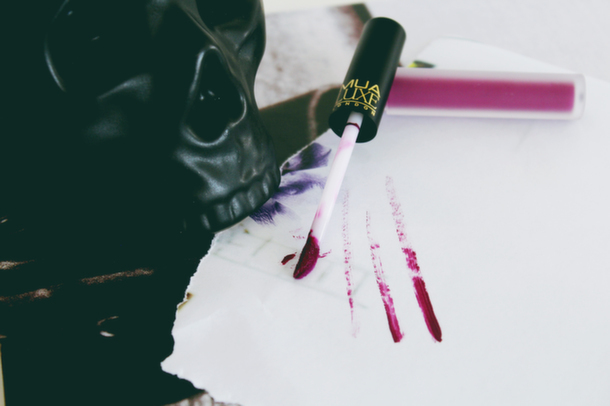 The dark red and purple are far better on me and make gorgeous toppers for dark lipsticks. I love Reckless over Kate Moss for Rimmel’s 107 Wine (which is usually matte) and Kooky over Inglot’s 293 from their berry collection, they really compliment each other well. If you’d like to see these lipglosses ‘in person’ so to speak, then head over to my Youtube channel (here) where I recently uploaded an affordable make up haul (here) featuring these products! Loving the skull! hah that’s awesome! Cool blog – I love your header – did you create it yourself? These lip colors are too cute!! I love your blog and all your beauty tips so I’ve nominated you for the Beauty Blogger of the Month award over on Cecilia’s Corner! Click on the link below for more details on the award and check out Cecilia’s blog.